A few days ago I was on the way back from gym when I decided to undo my hard work and stop to grab a snack from the store. Without going into the calorie count, I found myself at the checkout without my wallet. I knew exactly where it was – on my kitchen counter at home. Fortunately, I did have my phone on me and I remembered that I’d recently set up Samsung Pay with my credit card. The amazing thing with this technology is that I am able to pay on any credit card terminal that accepts a card with a magnetic strip. Without going into too much detail, it mimics the magnetic card instead of using the “tap-to-pay” technology that is currently rolling out. What really got me thinking about this situation is that, apart from my drivers license, I’m almost at the point where I don’t need to carry any form of card anymore. There’s been talk about being a cashless society for so long, but I think we’re very close to being a society where the method of payment becomes purely a personal choice. There is so much payment technology available today, from NFC, credit cards with chips, PayPal on store terminals and even the Amazon concept store, where you simply pick up the items you want and walk straight out while it charges your account in the background. The major mobile players (Google and Apple) provide not only mobile payment technology but web checkout options as well. And then there are a multitude of providers of QR code initiated payments and SMS/Text payments. If this is all possible in the physical world, then why are some billers still complicating the payment process online? A few weeks ago, my wife and I set up a new online account for our electric supplier which recently ‘upgraded’ its systems. For five years we were using an account that was working just fine. Even though I still had to log in to my account, my bank details were saved and it only took a few minutes to review my bill make a payment from the existing account. The new system, however, required me to set up an entirely new account. After that I had to go through no less than five steps to add my bank details and set up the first payment. My only options for payment though were; call in and pay a fee; send a check and pay postage or use my bank account for a direct payment. The first two are simply not options in a digital world. 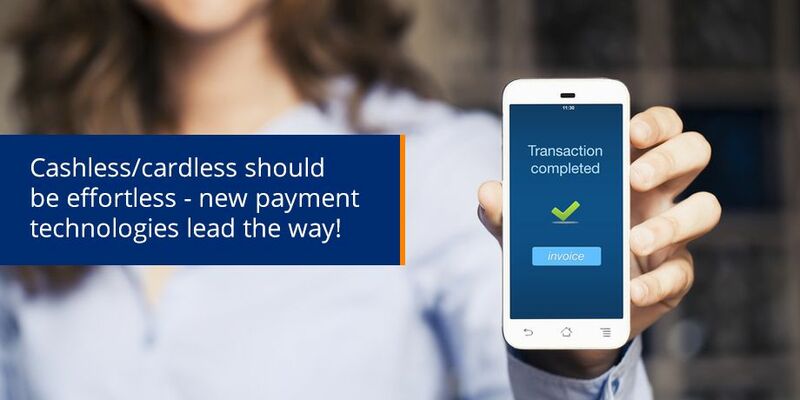 While it may be easier said than done, payment technologies exist and there is no excuse for billers not to keep up. The bottom line is that today’s digital consumers expect convenience, especially when so many of their service providers are already providing a great digital experience. Billers who are riding the digital wave and meeting consumer expectations will inevitably have the competitive advantage in the market – enough said.